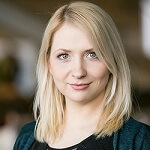 With their recent content deals with William Hill and NYX Gaming, Pragmatic Play is looking towards a successful 2018. They received some criticism this year for the stability of their games but their recent releases have had no bugs or issues. This includes their latest release, Panda’s Fortune. Bright neon colours light up this slot that has some massive jackpots on offer. Panda’s Fortune has a good selection of special features and the 25 paylines across the 5×3 reel layout helps to push the RTP to over 96%. The reel icons look beautiful and include a koi, a bonsai tree, a Chinese lion and a butterfly. Of course the star of the show is the Panda from the title. His Bamboo chewing face acts as the Wild symbol. He only appears on reels 2, 3, 4 and 5. Panda’s Fortune also includes a free spins feature triggered by the Yin Tang symbol. 3 triggering symbols will give you 8 free spins and a 2x your staked wager payout. 5 of the scatter icons will trigger the jackpot payout for this symbol of 100x your staked wager plus 15 free spins. While this feature is active a special golden wild icon will appear on the reels as a stacked symbol adding more winning potential to the reels. Panda’s Fortune features 3 special jackpots all triggered by landing 5 matching icons on the reels. The Minor jackpot starts off with a 25x your staked wager prize. It pays out for any 5 matched symbols that can also include a wild. The Major bonus prize is 200x your staked wager but you will need to land 5 of the lower value symbols with no wild present. The Grand prize is an 800x your staked wager payout and this jackpot is awarded for 5 matches high value picture symbols and again this combination cannot feature a wild icon. 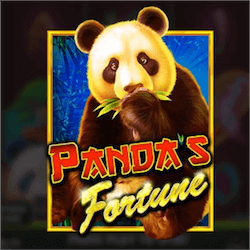 Panda’s Fortune is a fun slot from Pragmatic Play and the three special jackpots add some added incentive for players to have a few spins on this game. There aren’t enough Panda themed games and this one is certainly a quality experience. It would have been nice to see a few more Pandas or a few more features, but what is here is a great experience for all slot fans.